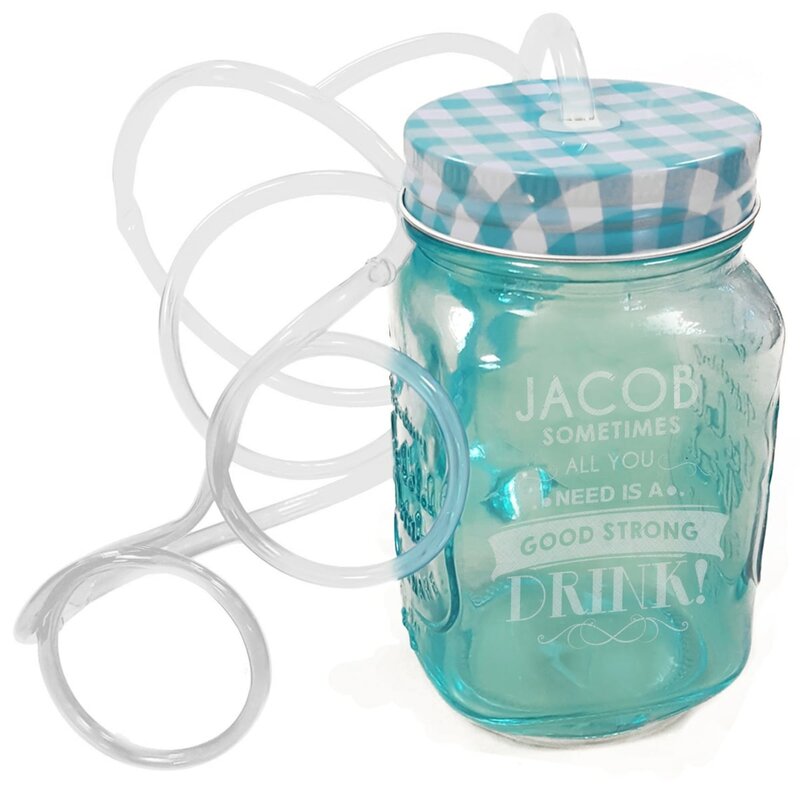 Ideal for sipping your favourite beverage at a Summer BBQ or to add decoration to your kitchen simply personalise with any message. PLEASE NOTE : Original straw is also included. This glass mason jar features a simple yet effective cocktail recipe of your choice.